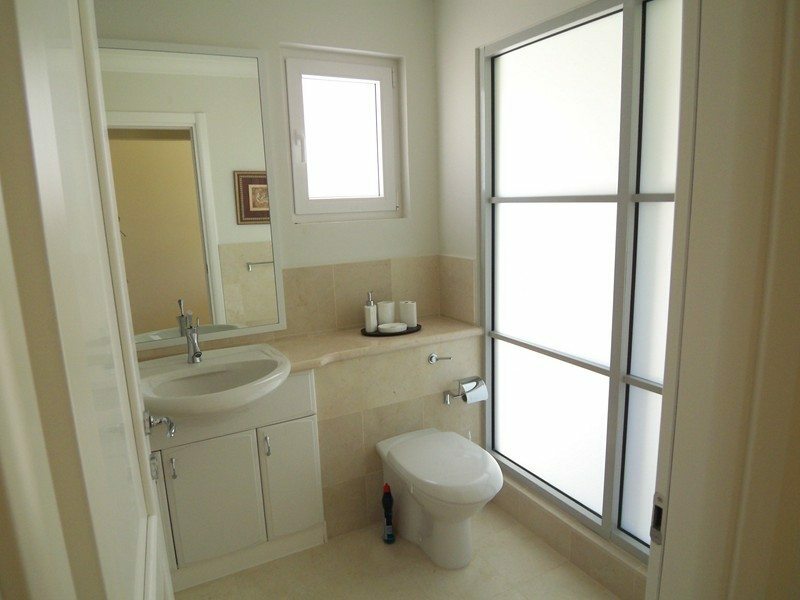 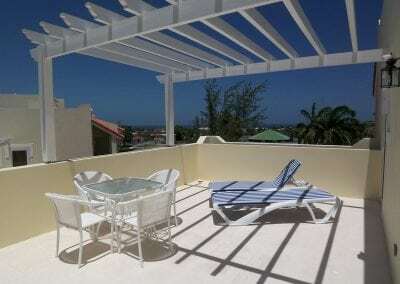 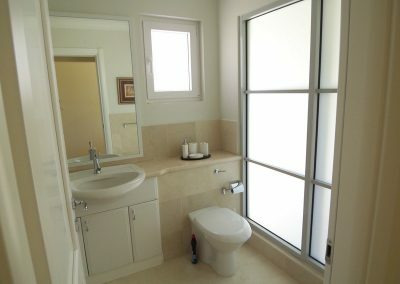 El Sol Sureño Unit 17 is a tastefully furnished condominium for sale in Durants, Christ Church, Barbados. 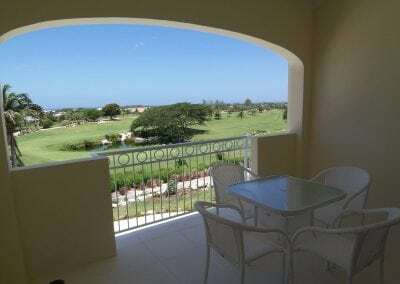 This condominium is a penthouse unit in a luxury South Coast development. 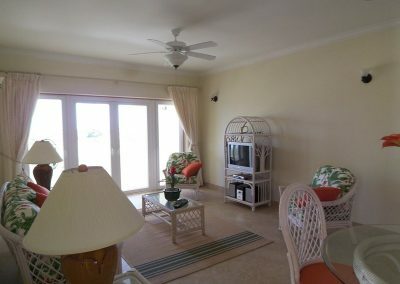 El Sol Sureño Unit 17 has an open plan layout that leads onto the patio with lovely views of the free-form, lagoon style pool, which is available to all residents. 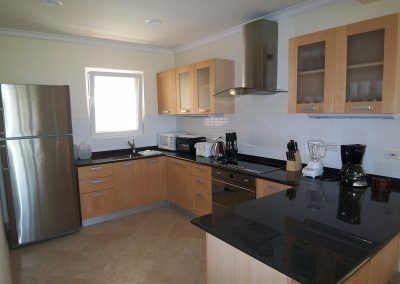 The kitchen is fully equipped with stainless steel appliances and granite countertops. 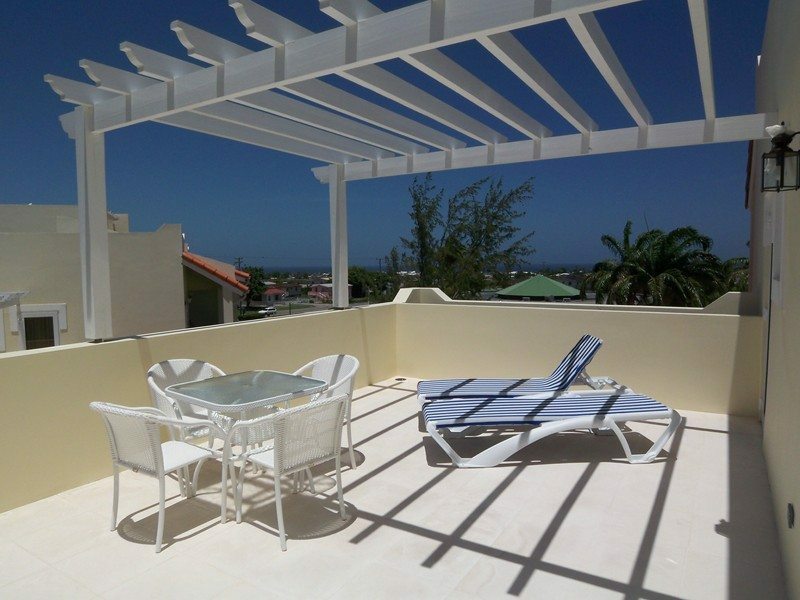 In addition, there is an extra patio which is great for entertaining and barbecuing. 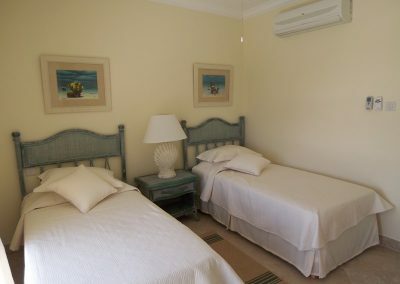 Both bedrooms of this unit have air conditioning, and the master bedroom is en-suite with a walk-in closet and leads onto the front patio. 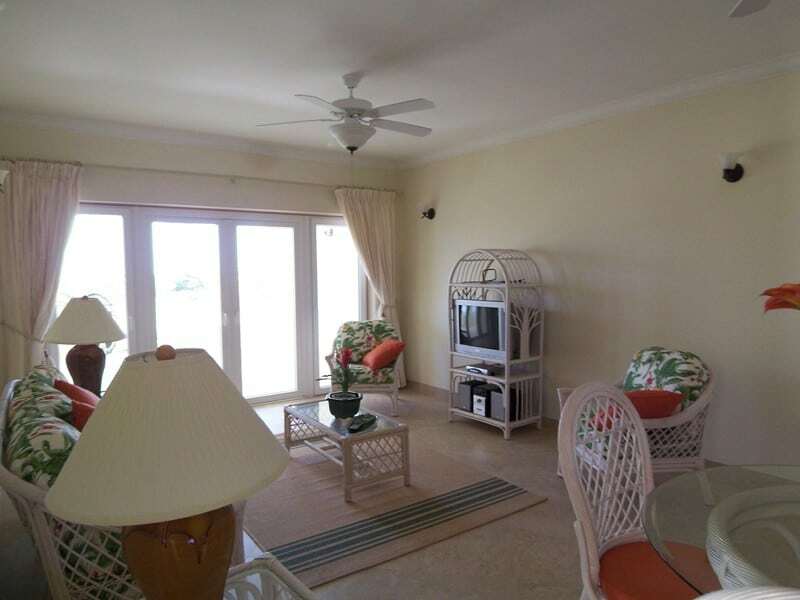 El Sol Sureño features an elevator and stairwell for easy access to your apartment, as well as a gated entrance with an intercom system for added security. 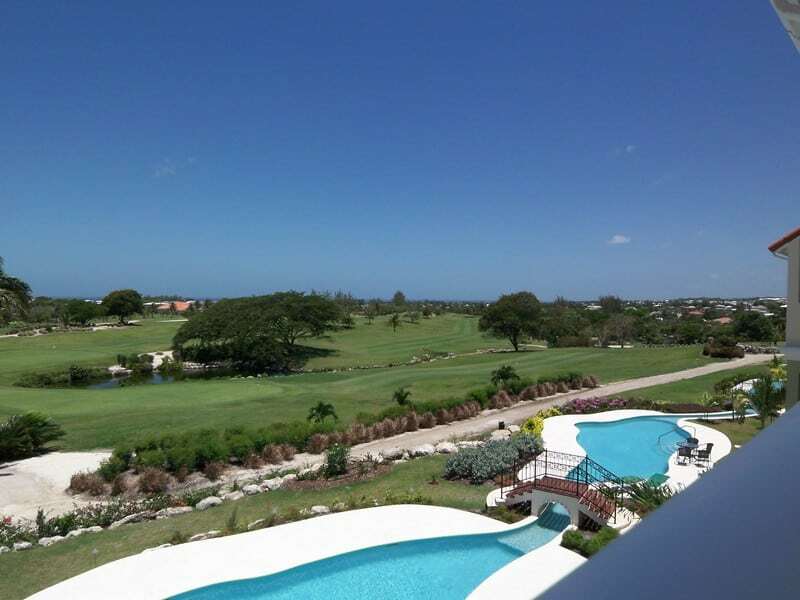 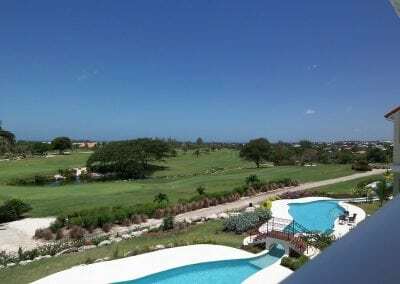 Views of the Barbados Golf Club and greens can be seen from the apartments, making this condominium for sale ideal for the avid golfer. 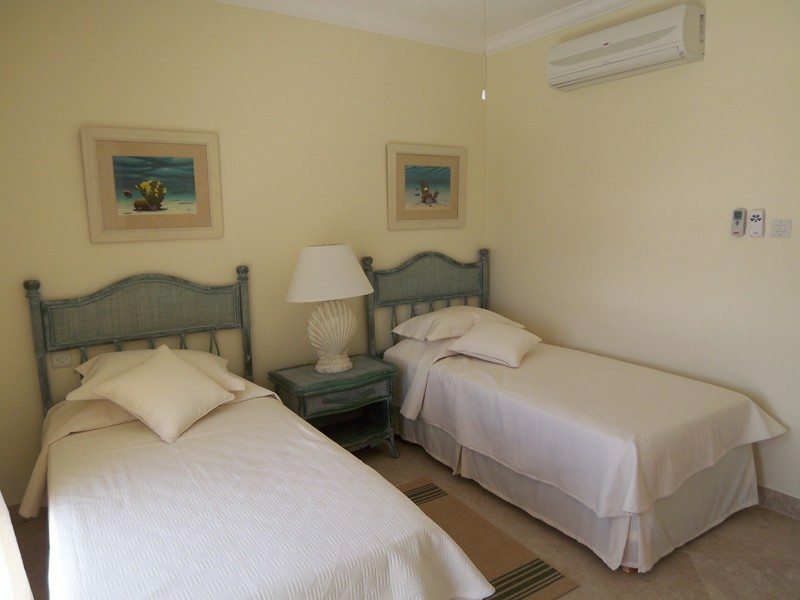 Durants is a five-minute drive from the airport, and 10 minutes from amenities in Oistins such as supermarkets, banks and shopping centre. 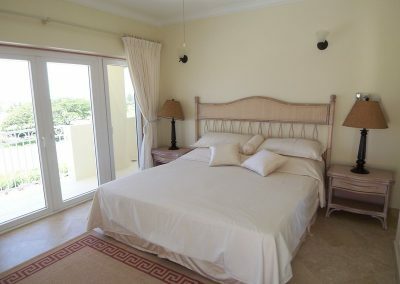 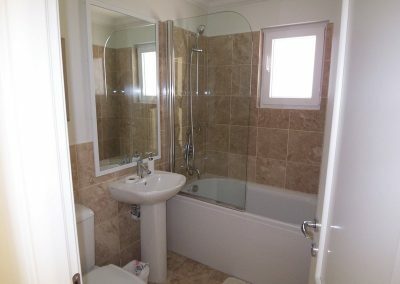 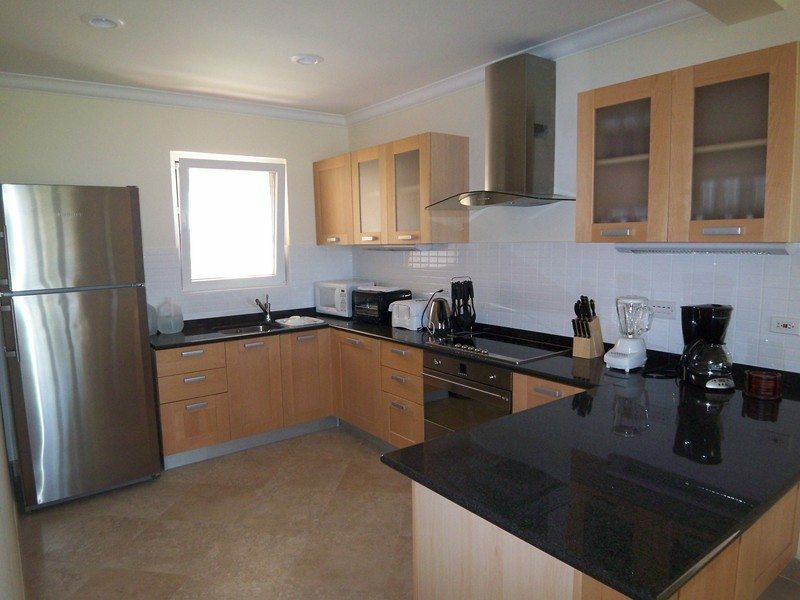 In addition, this apartment is a short distance away from beaches along the South Coast of the island.